Americans, on average, spend between six and ten seconds with individual artworks in museums or galleries—hardly time enough. But how, in our culture of distraction, might we extend attention? 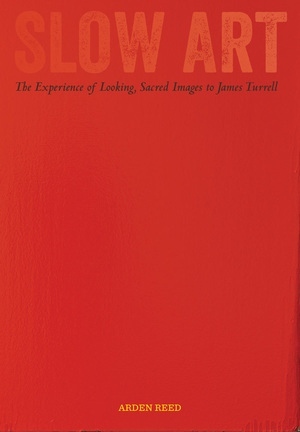 Slow Art models sustained ways of looking, through encounters with various media both present and past—including photography, painting, sculpture, “living pictures,” film, video, digital and performance art—even light and space. Works by Diderot, Emma Hamilton, Oscar Wilde, Jeff Wall, Sam Taylor-Johnson, Andy Warhol, and Richard Serra, among others, shape a new and distinct aesthetic field. But rather than a collection of objects, slow art is participatory—it directly engages beholders to bring artworks to life. Against current orthodoxy, Arden Reed argues that, for contemporary viewers, the contemplation of slow art is akin to religious practices during the ages of faith. Arden Reed (1947–2017) was Arthur and Fanny Dole Professor of English at Pomona College. He wrote on the visual arts and literature, and his publications include Manet, Flaubert, and the Emergence of Modernism and Romantic Weather: The Climates of Coleridge and Baudelaire.